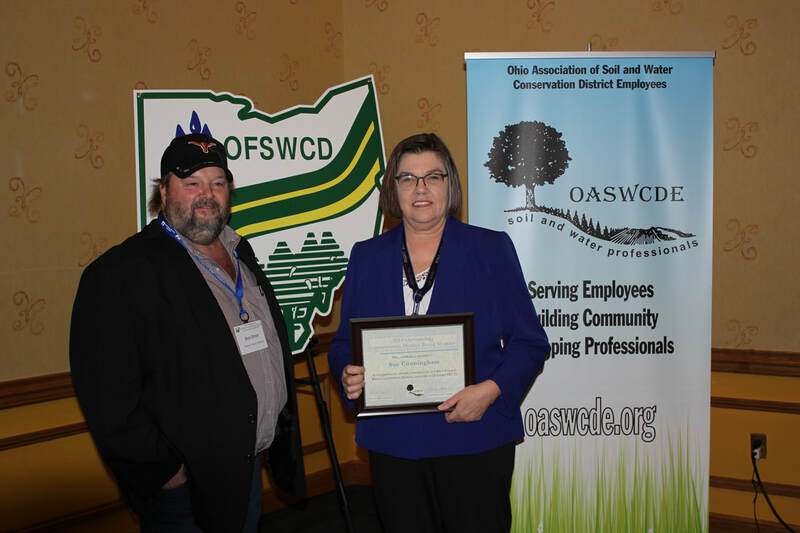 The Outstanding District Employee and Outstanding District Board Member awards are presented annually to recognize those individuals driving conservation efforts in Ohio. To be eligible for these awards, the individual must have two (2) years of service at the time of nomination. Applications that have been submitted in the past, and were not winners, may be resubmitted. Nominations may be submitted by conservation district employees, OASWCDE, District Boards, OFSWCD or NRCS. Only one entry for each of the two awards may be submitted from each local SWCD. Decisions of the awards committee are final and not subject to appeal. Past winners are ineligible. The awards committee reserves the right not to name a winner if it is determined that the criteria has not been met by the nominations provided. ​Awards will be presented during the OFSWCD Annual Partnership Meeting. Every effort will be made to keep the winner’s names confidential until the time the awards are announced.